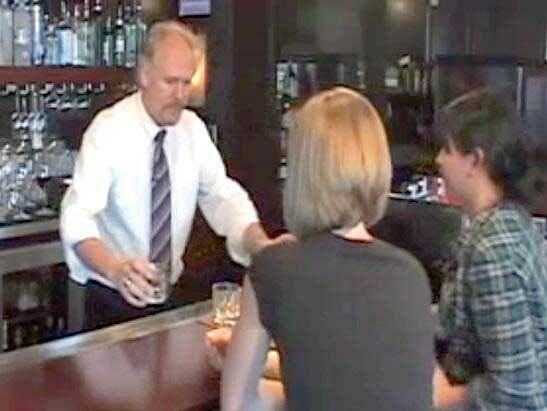 Take Our Ohio Responsible Alcohol Seller/Server Training Course Online! The training course is designed for bartenders, sellers, and servers and covers the required information for selling and serving alcohol. Covering topics like how to identify someone who has been drinking too much, how to check IDs, and responsibilities of serving. The AACEA Ohio course is made for all employees of licensed establishments. The Ohio Alcohol Training program is a self-paced course which trains you to sell and serve alcoholic beverages. You will learn responsible serving, liquor regulations, and more. Online alcohol seller server training. This course promotes the responsible sale and service of alcoholic beverages in Ohio. The course may be required for employees selling alcoholic beverages. Either in a store, a bar, or serving drinks in restaurant. Servers, waiters, bartenders, and managers, are better equipt to prevent under age drinking. For On-Premises and Off-Premises Alcohol Seller/Servers. The online course focuses on techniques used to recognize the signs of intoxication and how to intervene to keep your establishment safe. The training also covers underage drinking, and ID checking. Ohio Alcohol Server Training Alcohol Regulations class, test, and certification. A lso commonly known as bartending tips or the ASK program Alcohol Server Knowledge. A valid Ohio Online Alcohol Training Certificate may be printed upon completion. The Ohio state course is filled with knowledge and techniques to become a responsible server of alcohol. Protect yourself and your establishment from liability. You'll also learn how to cut someone off, to prevent disturbances, how to check IDs, about how alcohol affects your customers, to recognize the effects of alcohol, to prevent customers from becoming intoxicated, to intervene, and recognize minors.